If you've recently moved into an older home or if you're fond of perusing flea markets and salvage yards, you may have come across a sink or bathroom vanity that fits perfectly in your space. After you've reconditioned the piece and installed it, you'd be surprised how many modern bathroom accessories can work with an antique sink, according to HouseBeautiful.com. 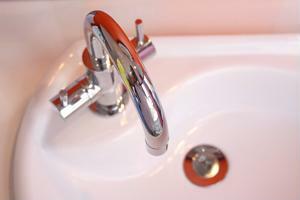 First and foremost, you're probably going to want to update the faucets and dials with modern pieces. You can choose anything from chrome to brushed copper, so keep your paint color and other decorative accents in mind when deciding. Another option is to combine a small floating wall shelf above your sink with a medicine cabinet above it. This will help to reduce clutter around the surface of your sink and provide a small area to display candles, small plants and other colorful additions. Antique items can add depth and personality to your bathroom, so if you have one that you've fallen in love with, use it to your advantage! What antique bathroom features would look at home in your washroom?